The Onion Knight is here! 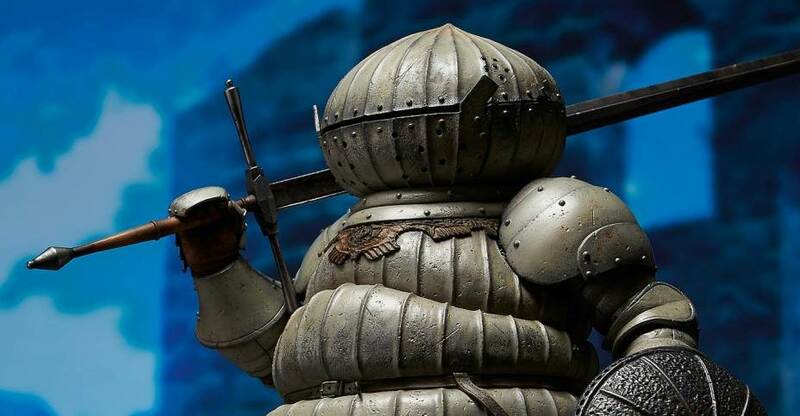 During San Diego Comic-Con 2017, Gecco was offering their exclusive Dark Souls 3 – Siegmeyer of Catarina 1/6 Scale Statue. They also made a limited amount available worldwide, and the statue has now shipped out to retailers and those who pre-ordered. In the U.S.A. it is being distributed by Diamond Comics. In the game, the Siegmeyer of Catarina is a NPC (non-playable character) that you encounter multiple times throughout your adventure. His optimistic nature and tendency to be napping when you find him has made him a fan favorite. The Siegmeyer of Catarina is often referred to as the “Onion Knight” due to the style of his armor. Gecco has sent along the statue for us to check out. We have a review and full photo shoot for the new statue. Read on to check them out. Check out the Gecco 1/6 scale statues on display at San Diego Comic-Con 2017. 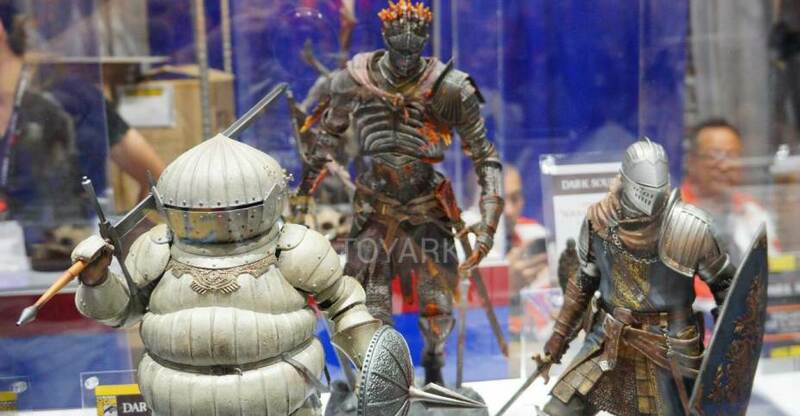 They brought along some great new Dark Souls statues and announced a few new items as well. Among the new announcements and reveals were two new addition to the Metal Gear Solid statue line up. Check out the list of new items below. In the Dark Souls video game, the Siegmeyer of Catarina is often referred to as the “Onion Knight” due to the style of his armor. Gecco will be releasing a statue based on this fan favorite character from the game series. 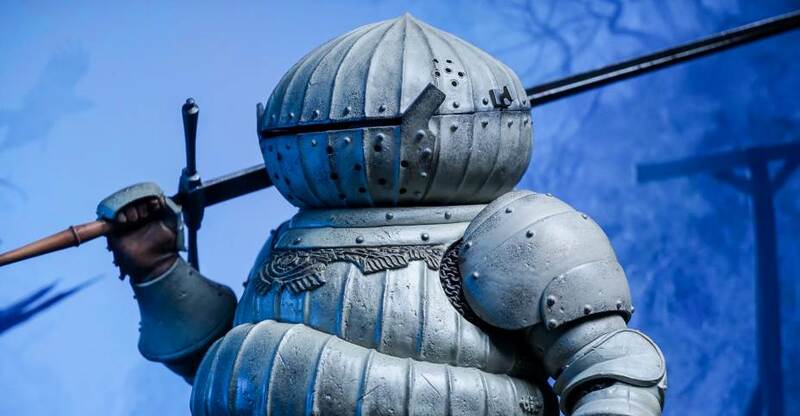 The Dark Souls – Siegmeyer of Catarina 1/6 Scale Statue will be a (mostly) San Diego Comic-Con 2017 Exclusive. Fans can pre-order it online for pick up at the show! Check out the info below and see all of the photos after the jump. The slit of the helmet is not simply filled, but actually sculpted like a real helmet, which allows you to see the never revealed Siegmeyer’s face in the game. For those who cannot attend SDCC, the limited quantity will be distributed by the following distributors. The product will be shipped in the end of October, 2017. D4TOYS (Other countries) click here! !